Phillip H. D’Angelo, 79, of Sebastopol, California died March 9, 2010 at Columbia St. Mary’s Hospital – Ozaukee Campus in Mequon, Wisconsin of cancer. He was born May 11, 1930 in Milwaukee, Wisconsin to Harry and Sara Peterson D’Angelo. He grew up on the family farm on South Main Street in Saukville. A young rebel, Phil lied about his age to get into the United States Navy. He served from November, 1945 to October, 1947 as a Fireman First Class during World War Two. 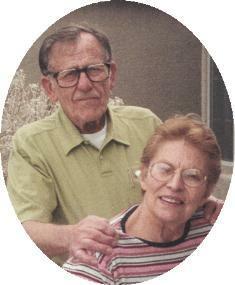 He married Carol L. Muenchow of Cedarburg, Wisconsin on February 13, 1953 in Cedarburg. She preceded him in death August 22, 2006. In 1963 he moved to California, he had been a traveling salesman for many years and later operated an auto dealership. After he retired he sold timeshares in California. Phil had a love of travel driving the country to see the sights. He also loved flying, keeping his pilots license for many years, and boating, he was a charter member of the Port Washington Yacht Club. He returned to Saukville a few days before his death to be with his daughter April. He is survived by his son Daniele (Sandy) D’Angelo of Petalume, California, daughters Toni D’Angelo of Santa Rosa, California, April (Jeffrey) Keller of Saukville and son Phillip J. “PJ” D’Angelo of Willits, California. Further survived by grandchildren Nathaniel D’Angelo, Rachael D’Angelo-Keller, Aaron D’Angelo-Keller and Phillip James D’Angelo, brother Louis Lasch and Matthew “Norm” (Donna) D’Angelo borth of Saukville, brother-in-law David (Gail) Muenchow of Tuscon, Arizona, sisters-in-law Nancy D’Angelo of San Jose, California and Katty (Daniel) Semrau of West Bend, nieces, nephews, other relatives and friends. He is preceded by his wife Carol and brothers John (the late Arlette) D’Angelo and Harry D’Angelo. Pastor Pat Mulcahy will honor the lives of Phillip and Carol at Noon on Saturday, May 15, 2010 at the funeral home. Visitation 10 am to Noon May 15, 2010. Interment with Military Honors by Ozaukee Memorial Post 5373 VFW and United States Navy will be in Union Cemetery, Saukville.